Showing results for tags 'gl'. Hi, here are some of our 2015 games on our GAMELANCER website demos. And some screenshots: In this fun strategic puzzle game you help the cute Gloobies survive by colonising other planets, before the opposing Gloobies can. Will your Gloobies be the survivors? Have fun with 20 free levels of casual play on any mobile or desktop browser in HD. Compete in 6 round racing, where you bet against the odds, to amass the most winnings. We warn you, these are fierce competitors, and any race can be neck and neck ! Gloobies Lab – HD (portrait: 640x960px) - PREMIUM In this fun laboratory experiment, you combine cute Gloobies (or goo characters) together, so that they morph into even cooler creatures in a classic 2048 game style which is completely revamped. This game offers infinite gameplay, with insane replay value, on any mobile or desktop browser. 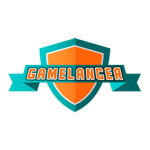 YOUTUBE VIDEO Please contact me at morne@gamelancer.net or us at info@gamelancer.net if you would like to sponsor or publish or buy these games. Thanks for taking the time to play and test and give feedback on these games!